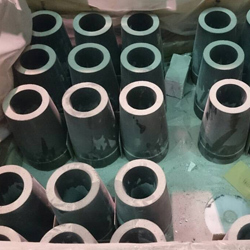 Godo Ceramics are consistently producing refractories that are indispensable in industrial furnace equipment. because industrial furnace deals with very high temperature molten steel, it won't function without refractories. In refractory, there are shaped refractories, unshaped(monolithic) refractories, functional refractories. On the inside of steel shell of EAF and ladle, bricks are assembled one by one by lining workers, and used after being dried out. 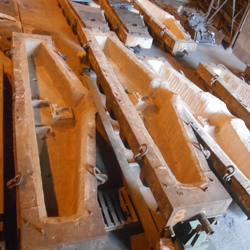 Used by pouring in for contructing complex shape that can not be constructed by shaped refractories, or repairing the damaged parts. 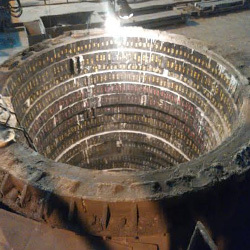 Functional Refractories are required high quality, that play a very important role in continuous casting equipment of molten steel, to enable smooth casting process. Copyright © 2015 Godo Ceramics All Rights Reserved.